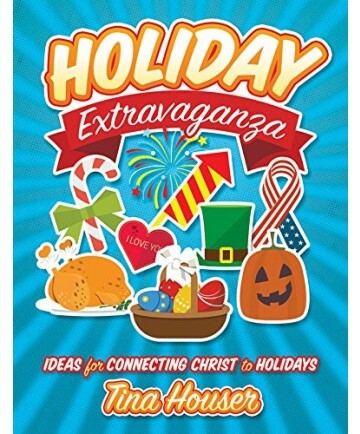 Holiday Extravaganza highlights 15 holidays, most of which are not traditionally centered around the Word of God. But, even holidays that find their roots outside of Christian beliefs can be redeemed! Jesus used the things of the world to convey His message, and we can follow that example by taking these celebrations and giving them a new focus. This book will provide you ideas and activities to share with your kids that incorporate the celebration, but direct them to the Scriptures. April Fool's Day can be a time to talk about Proverbs, what God considers wise and what He considers foolish. Earth Day becomes a time when we learn about bearing fruit in every season and that God is the One to honor on this day. Teach your kids at Halloween how God restores dry bones and gives them life! You'll find multiple ways of connecting scripture to each of the 15 holidays included.